​and a must for any traveler. For Single Room, Add - $1,225. Wed., May 22- Arrive Paris: Our members arrive in Paris. Hotel Novotel Tour Eiffel accommodations include daily breakfast. Thu., May 23- Paris: Half day overview sightseeing tour. See the major monuments of Paris, the bridges that rise over the Seine and the museums that house all of the city's cultural and artistic riches. Your coach tour will pass by all the great and symbolic tourist locations in the city: the Place Vendôme, the Place de l’Opéra Garnier, the Hôtel de Ville, Notre Dame cathedral, the Panthéon, the Musée d’Orsay, the Place de la Concorde, the Champs Elysées, the Arc de Triomphe, and Les Invalides. Your tour will finish at the Louvre Museum where you will have a guided visit inside. Return to the hotel withe the coach or stay to continue to explore on your own. Afternoon free for personal enjoyment. Fri., May 24- Paris: Our day begins with a stop at the Eiffel Tower before we board a Seine River boat for a scenic cruise. We will visit the Montmartre area of the city and take the mini-train from Place Pigalle to the top of the hill where you will have an amazing view of the city. Enjoy a walking tour to the Sacre Coeur Basilica followed by some free time for shopping. The Afternoon is free for you to continue to enjoy this wonderful city. 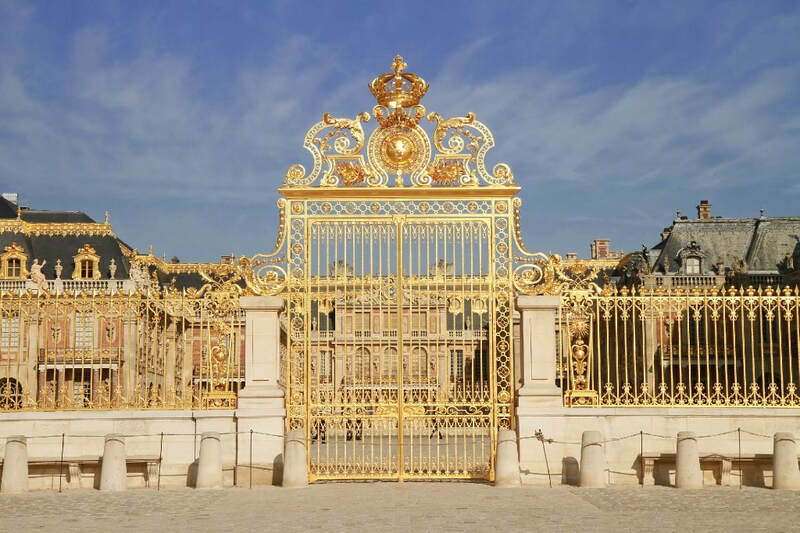 Sat., May 25- Paris: The Palace of Versailles, symbol of French artistic influence. Tour through the highlights of the Palace including the Hall of Mirrors, and the Kings Grand Apartments. Afterwards enjoy a stroll in the Gardens and explore the fountains and groves with their water featuring spouting to the rhythm of music. Return to Paris where the afternoon is free to explore on your own. Sun., May 26- Paris/Brussels: Morning train to Brussels. Upon arrival visit of the beautiful St. Michael's Cathedral, the Congress Column, and the world famous Maneken Pis. At the Heyseldistrict, see the world-famous Atomium and view the Royal Residence. We continue with a drive to the magnificent Palace of Justice. Passing the stately Royal Square, the Royal Palace and the Houses of Parliament, you'll arrive in the Cinquantenaire district, with its Triumphal Arch, and splendid Art Nouveau houses. Hotel Thon Brussels City Center accommodations include daily breakfast. Lunch is included as a tour service. 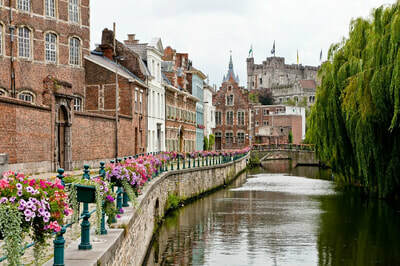 Mon., May 27- Brussels/Ghent/Bruges: Travel to Bruges via Ghent. Ghent is Belgium’s best kept secret, small enough to feel cozy but big enough to stay vibrant. Enjoy a walking tour through the city center including the Saint Bravo Cathedral, the Belfry and the Gravensteen castle. After the walking tour enjoy lunch as a tour sevice and take some free time to discover more about Ghent. Continue on to Bruges. Hotel Akademie Bruges accommodations include daily breakfast. Tue., May 28- Bruges: Bruges is one of Belgium's crown jewels, a splendid city that has somehow managed to preserve the atmosphere and the look of medieval times unlike any other city in Europe. Sightseeing includes the Begijnhof, Minnewater, Belfort, Market Square and City Hall. We will enjoy a cruise on the picturesque city canals, to see Bruges from a different. The church of our Lady you can admire art work, including Madonna with child by Michelangelo. Afternoon free to explore further. Wed., May 29- Bruges/Flanders Field: Full day sightseeing drive to the WWI battlefields. Discover restored trenches, stroll amongst quiet war graves in Passchendale and Polygon Wood walk the preserved Hill 60 battlefield and pay homage to the monuments erected in proud memory of the sacrifices of Military Forces. Visit to the beautiful city of Ypres which was rebuilt to medieval plans after being totally flattened in WWI and visit to the WWI Museum. Lunch is included as a tour service. Thu., May 30- Bruges/Hague/Amsterdam: Explore the countryside enroute to Amsterdam with a stop in the Hague, home to the U.N.’s International Court of Justice, and the International Criminal Court. Lunch is included as a tour service before we continue on to Amsterdam. Hotel Ramada Apollo Center accommodations include daily breakfast. Fri., May 31 - Amsterdam: This morning enjoy a panoramic tour of the rich history and culture of Amsterdam. 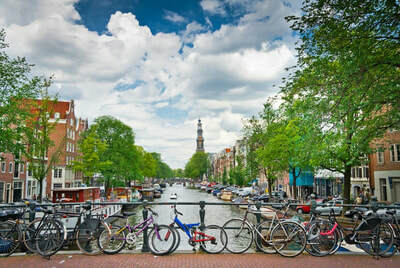 Amsterdam has a broad spectrum of recreational and cultural sights. During the sightseeing you will pass the many canals which Amsterdam is rich and see the dancing houses, the Central Station, Dam square and its Palace. Amsterdam has over fifty museums which attract many millions of visitors every year. Amsterdam is also well-known for its diamonds, so a trip to the diamond factory is a must. End your panoramic tour with a canal boat trip to see the city of a different prospective​. Afternoon Free to explore. Dinner included as a tour service. Sat., Jun 1 - Amsterdam/Hamburg: Drive to Hamburg via Bremen. Lunch is included as a tour service.